Glenfiddich, the World’s Most Awarded Single Malt Scotch Whisky, is today launching their Glenfiddich Experimental Series ad in the US. The brand’s latest range combines Glenfiddich’s passion for pushing Scotch whisky boundaries and collaborating with trailblazers beyond the world of whisky to unlock new drinking experiences. The 30-second TV ad, developed by creative agency Space, aims to attract a new generation of whisky drinkers around the world. 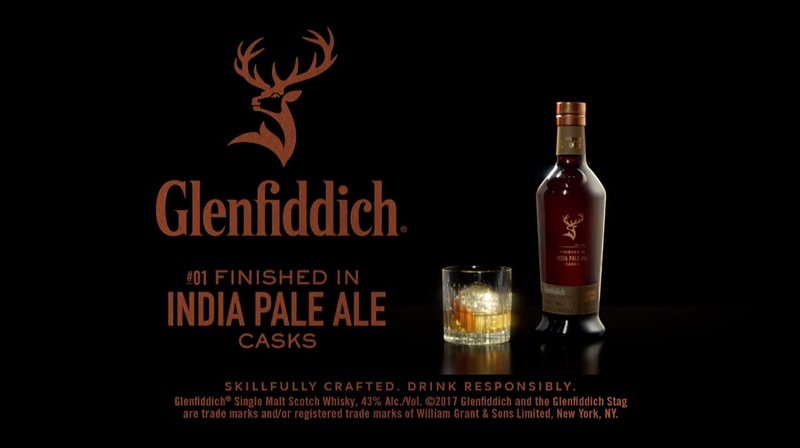 The film will support one of the first expressions in the range, the Glenfiddich India Pale Ale Cask Finish, the world’s first single malt Scotch whisky finished in India Pale Ale (IPA) casks. The film will air on TV in Texas and Florida in early October. The creative concept behind the film, “The Experimental Series”, explores the extremes of human intellect through a series of scenarios including the first sparks of love, the carelessness with which we sometimes treat the planet, and the positivity that results from fostering our curious nature. These vignettes eventually focus in on mastery and creativity, reflecting the guiding principle behind the new products: only by mastering our art do we earn the right to truly experiment. The film’s stark imagery, bold visual style and intense rhythmic soundtrack further demonstrate how Glenfiddich is re-writing the whisky rulebook with this new range. The new ad is part of a wider campaign featuring: event sampling, digital media and trade advocacy in the on-premise. The Glenfiddich India Pale Ale Cask Finish is the first in the series which will include a number of unexpected variants over time. Space worked with Academy Films and director Ben Tricklebank for the ad. Tricklebank has previously directed TV commercials for Mini and Sony Bravia, a social media controlled documentary for PlayStation’s Gran Turismo 6 and has had an art installation showcased at London’s Barbican Centre.